Aside from the BCS National Championship game and most of the BCS bowl games, motivation can be questioned for many of the bowl participants each college bowl season. Of course, there are a few teams who enter bowl season with a chip on their shoulder. However, more often than not there are more teams exhibiting a lack of motivation in their bowl games. Anything from lame duck interim coaches, lower-tier bowl games, cold-weather climates, lesser opponent or a perceived slight can all affect how a team reacts after a long layoff as it heads to a neutral site to play in a likely unfamiliar surrounding against a likely unfamiliar opponent. Here are some teams this college bowl season that could have doubts cast against their motivation and whether or not it is warranted. Despite attempts to match up competitive teams, there are bound to be a handful of college bowl mismatches. This year there are four games with double-digit spreads. Over the last two seasons, favorites have been mediocre against the high numbers, going 4-5 ATS. But the straight up performance of those heavy favorites shows just how important motivation is this time of the year. Amazingly, double-digit favorites in bowl games the last two seasons are only 5-4 SU. Last season in the Holiday Bowl Washington knocked off Nebraska, 19-7, as 11.5 point underdogs on the college football odds. Tulsa won the Hawaii Bowl over Hawaii, 62-35, as 10-point underdogs. In 2009 the Hawaii Bowl produced another huge upset. SMU blasted Nevada, 45-10, as 11-point underdogs and Wyoming knocked off Fresno State, 35-28, as 10-point underdogs in the New Mexico Bowl. 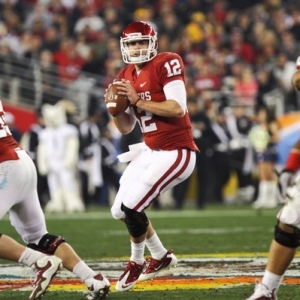 There can be some attractive moneylines to keep out an eye out for this bowl season. After reaching the BCS National Championship Game in the prior year it’s impossible to top the feat the following year and very hard to repeat it. For Oregon, a runner-up last season, the pill may be easier to swallow considering they lost last season and this year they are headed to the Rose Bowl, which is not too shabby. For Auburn, the defending National Champions, they fell all the way to the Chick-fil-A Bowl on Dec. 31 where they will face Virginia, the third selection from the ACC, not the customary second selection because Virginia Tech received a BCS at-large berth. But results from the last three years indicate the hangover is not so bad on the reigning champion. The past three BCS National Champions have gone on to win their bowl game the next year handily. LSU blasted Georgia Tech, 38-3, in the Chick-Fil-A Bowl in 2008, Florida blew out Cincinnati, 51-23, in the Sugar Bowl and last season Alabama overwhelmed Michigan State, 49-7, in the Capital One Bowl. Things have been tougher for BCS runner-ups the following season. Texas did not even make a bowl game last year after losing the 2010 BCS national title game. Two years ago Oklahoma won the Sun Bowl against Stanford but did not cover and in 2009, Ohio State lost, 24-21, to Texas in the Fiesta Bowl but did cover. The memorable wins in BCS bowl games come to mind when you think of BCS busters knocking off BCS teams. There was Boise State's overtime win over Oklahoma in the Fiesta Bowl, Utah crushing Pitt in the Fiesta Bowl and Alabama in the Sugar Bowl, and TCU knocking off Wisconsin in the Rose Bowl last year. But in the lesser bowl games, schools from non-BCS conferences have been just as effective in underdog roles. Along with TCU's win the Rose Bowl, Central Florida surprised A.J. Green and Georgia in the Liberty Bowl last year and Air Force got past Georgia Tech in the Independence Bowl. No matter how many times it has happened, it seems teams from BCS conferences, even lower-level teams, always seem to struggle against teams from non-BCS conferences, and a lot of it might have to do with motivation working against teams like Pitt and Purdue and for teams like Western Michigan and SMU.